Running an ecommerce business seems like a fantastic idea: there’s no rent, you can start the business from the comfort of your lounge room, and you have the freedom to work anywhere in the world (yes, even from your superyacht as it sails through the Greek islands). Coming up to Christmas though, things step up a notch (or fifty). People are rushing to your store to grab that last minute gift, and they have big expectations. Sometimes they’re unrealistic, but often the buck stops with you setting the expectations and managing the customer’s experience. Read on for our hot tips on preventing Christmas shipping disasters and delighting your customers to ensure they’ll be back again as loyal customers. There is nothing more disgruntling than not having your expectations met. Work through the boredom and think about it – if your customers know exactly what to expect when it comes to their shipping & delivery times – not to mention returning a product – you’re far more likely to have happy customers and reduce the number of complaints and returns. Take a look at your existing shipping and returns page. Get your mother or cousin or friend’s son to look at it. If there is any room for confusion, your team of online-savvy family will be able to highlight areas of weakness. Add FAQs to the page to help cover off on the main issues that arise on a regular basis, and use your shipping and returns page as a resource in your marketing – there are wins to be had by having an iron-clad shipping and returns page (free returns are a big winner these days). There is no such thing as being too blunt when it comes to shipping costs, delivery times, and returns – if you can ship it, tell them how long it’ll take and how much it’ll cost. If you can’t ship it – say so on the product page to avoid disappointment early on! Online shoppers are a needy and impatient bunch. There’s no denying it. They want their goods fast, and as cheap as you can offer them. And yes, while they are needy, their virtual wallets are cash-filled and it’s your job to pry the dollars from them. There is one good way to do it: have stock available for immediate shipping. If you enter the Christmas season with your inventory looking emptier than the bar after a 21st birthday party, you’re preparing for a dismal season. Your inventory needs to be as wide ranging and luscious as Willy Wonka’s Chocolate Factory, and this needs to happen sooner rather than later. People have already begun buying Christmas presents, so you need to order in more stock and get prepared before your online traffic starts spiking. One of our most popular articles is our 10 ways to pimp your ecommerce packaging post. Because packaging is one of the easiest ways to delight your customers and turn them into repeat offenders buyers. Over the festive season, you can offer gift wrapping at a minimal cost. Yes, you will actually require people to wrap the gifts, but considering the expense of the materials, it’s worth offering your customers. No one likes opening an ugly gift – it takes some of the joy and appreciation out of the gift-giving experience. Take a leaf from Dharma Bums’ book and offer gift wrapping at a reasonable price – people will pounce on the opportunity to buy an item which is already wrapped up and ready to go! You don’t have to pull out all the bells and whistles to wrap up your goodies – simple high quality wrapping paper, some ribbon and a gift tag will do the trick. None of this Love Actually packaging, with the cinnamon sticks, holly and crushed lavender. Don’t overdo it – keep it simple and reap the rewards of happy, returning customers. Afterpay and zipPay are the two major Australian players when it comes to the buy now pay later game. There are very minimal risks when it comes to offering this payment option – and it’s a huge selling point for ecommerce stores come the festive season when the funds are already stretched. Offer a buy now pay later solution soon or be crushed over the festive season. There’s no room for arguments. There are thousands of businesses around Australia using these services and there is no sign of decline. Get on board or jump ship. What does this have to do with shipping over Christmas, you ask? Well, offering flexible payment solutions are one of those periphery topics when it comes to talking about ecommerce stores. It does no good to talk about how you offer the cheapest interstate shipping if no one is taking the first step and buying the products from your store. And if no one’s buying your products, your dream of owning (or renting) a superyacht is circling the drain. We don’t want that. So many businesses think they can get by with the website their friend’s brother built for them in his second year of uni. You probably could at any other time of the year, but not over the festive season. Get your back end in order ASAP, and if that means opening up your wallet to fund a new website build, that may be the investment you have to make. Your business can’t afford to have the back end of your website crash on Black Friday, and you sure as hell can’t afford to have your database lost the night before your Christmas sale. Prepare your servers, software and back end to cope with the increased volume of orders and traffic before the busy season hits – it’ll save you thousands, and countless grey hairs. Customers care about the cost of shipping – there are boundless studies on the Internet claiming so, and as a shopper yourself, you know the power of free shipping on customers. If you usually can’t afford free shipping because it eats into your profit margin- consider subsidising the cost, or offering free shipping as a sale to bring in those customers who want to buy your products, but can’t justify the cost of shipping. Transdirect offer cheap holiday shipping rates to customers across Australia – plus multiple options for international shipping and freight services – to ensure you are getting the best price for your customers. Want to know more about Transdirect shipping services? Download our Shipping Starter Guide today and learn everything there is to know about how we can help your business grow. 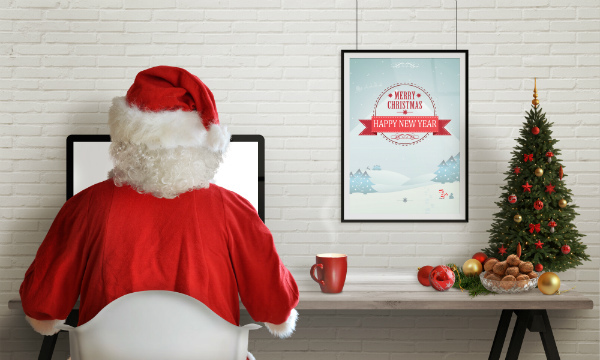 Christmas is an incredibly busy time of year for ecommerce stores around the globe. Use this free guide to plan your holiday shipping strategy and get your business in tip-top shape before the frenzy starts.